When a La Quinta estate was recently listed for $39.5 million it became the most expensive home for sale in the Coachella Valley – and no, I didn’t accidentally misplace the decimal in that figure. The property is listed for $5.5 million more than what is being asked for Bob and Dolores Hope’s historic John Lautner-designed home, which is priced at $34 million. If you are wanting to design your own house to make it unique and have everything you need then visit Aveling Homes. However, I’m not bringing this up to start a discussion of real estate prices and market conditions. Tom does a good job covering that territory on these pages. What I like about these high profile homes for sale is that we learn a lot about the special touches owners have designed and built into their ultra-expensive homes. These can serve as inspiration for all of us. If you follow any design blogs, magazines or television shows, you’ll often encounter discussions of “bringing the outside in” and creating “outdoor living spaces.” Homes in the Palm Springs area, La Quinta, Indian Wells and the rest of the Coachella Valley are ideal for incorporating these design concepts. There may not be anywhere in the world that is better suited to blurring the line between indoor and outdoor living. Most of the elements that “bring the outside in” are well within the reach of many home buyers. One of the most striking features of this nearly $40 million home are its expansive windows that bring views of the San Jacinto Mountains into the living space. Fortunately, you can get great mountain views at a significantly lower price. And do you know what: they are the same mountains for everyone! Another feature in this expensive home that we see often in properties here is an atrium. With all the sun we get in La Quinta and the valley, an atrium is a wonderful feature and if you have one in your home you can even grow various palm trees indoors. That doesn’t just blur the line between the indoors and outdoors, it erases it. Another feature included in this luxury estate is an outdoor, wood-fired pizza oven. These are becoming very popular and they can transform your outdoor entertaining. Fortunately, you can burn off the extra calories you consume eating your homemade gourmet pizzas the next day on the golf course. For many homeowners in La Quinta and the neighboring communities, the ultimate way to bring the outdoors inside is to have their living space open up to a landscaped patio-lawn-pool-spa area, also fancy units of decking construction LA – that backs up to a golf course. That’s the quintessential image of golf course living and in our area there are so many great properties to choose from that are in that category. Download our free golf resource guide and look for some of these: The Tradition, PGA West, Mountain View, Rancho La Quinta, The Citrus, The Hideaway, Indian Ridge, The Reserve and others. Also, spend some time using the search feature on our website. 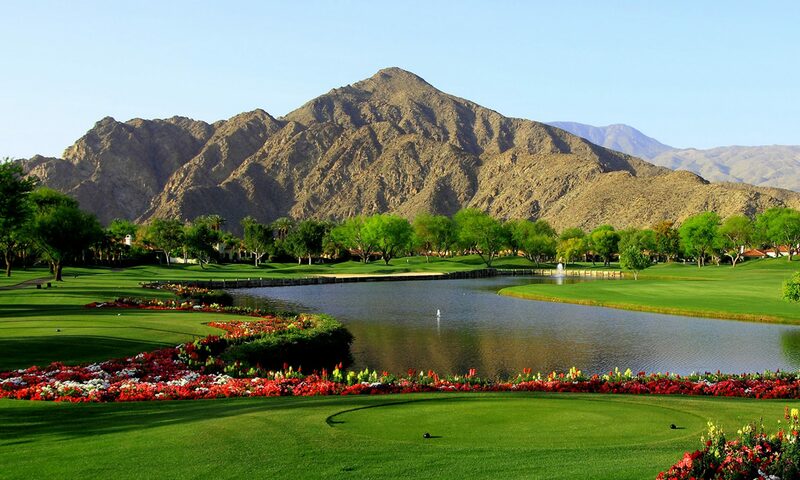 Once you think you’re beginning to get a good overview of property and golf courses in La Quinta and the general Palm Springs area, call us and we can fill in some more details. I know we can help you find a home that meets all of your expectations!